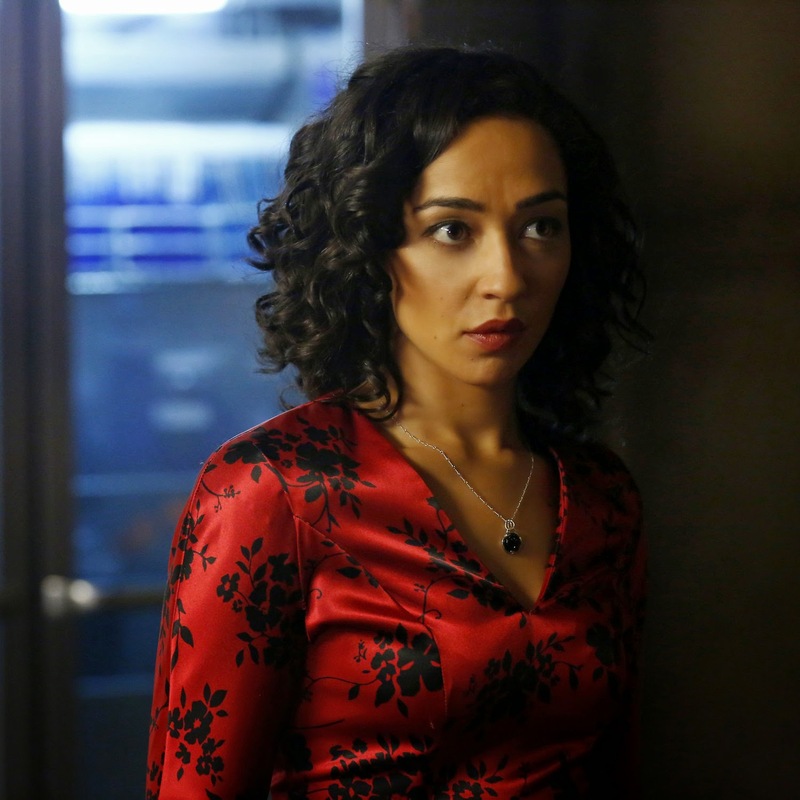 "Mission: Impossible 5: Rogue Nation"
Ruth Negga lands lead female role in AMC's "Preacher" pilot. I love her as Raina on Marvel's Agents of S.H.I.E.L.D. 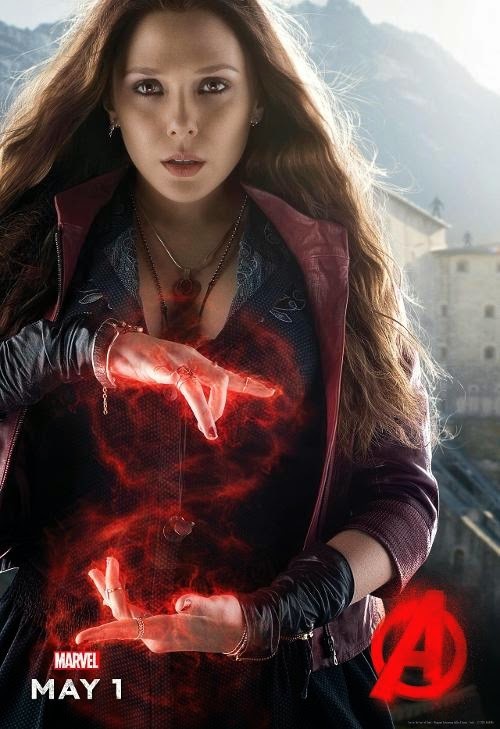 "Angel and Faith: Season Nine Library Edition (Volume 1) HC"
Scarlet Witch from "Avengers: Age of Ultron." 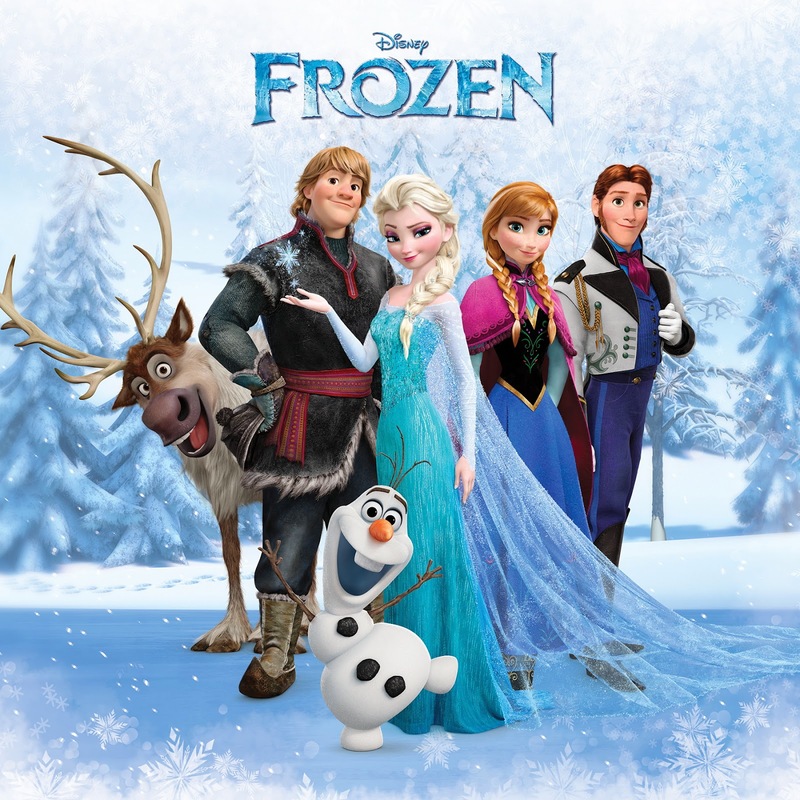 Disney announces a sequel to Frozen. For Ryan Murphy's "Scream Queens." 1. 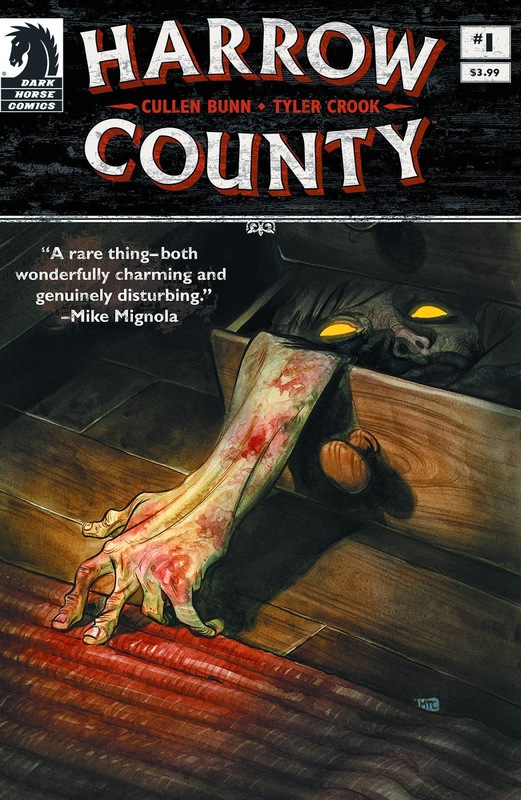 Harrow County #1 - Culleen Bunn and Tyler Crook create a screwed-up looking southern gothic fantasy-horror book. 2. 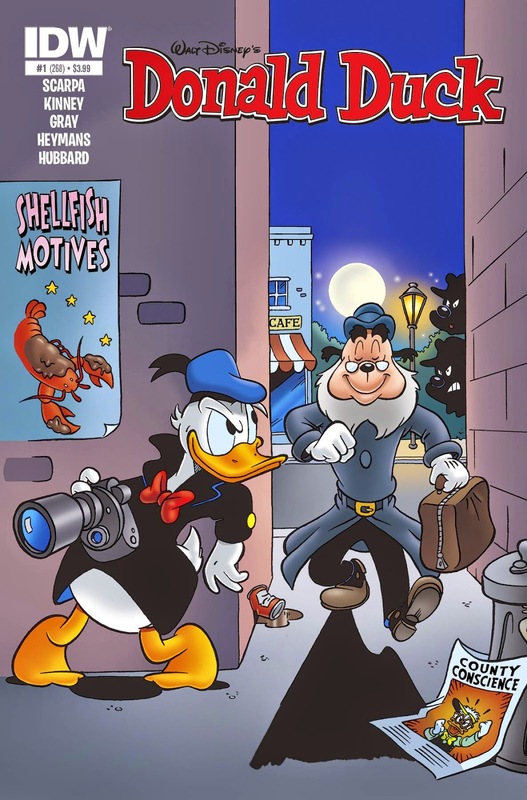 Donald Duck #1 - Why, yes, IDW is publishing Disney comics featuring the likes of Donald Duck and Uncle Scrooge with original material as well as reprints from the European comics. 3. 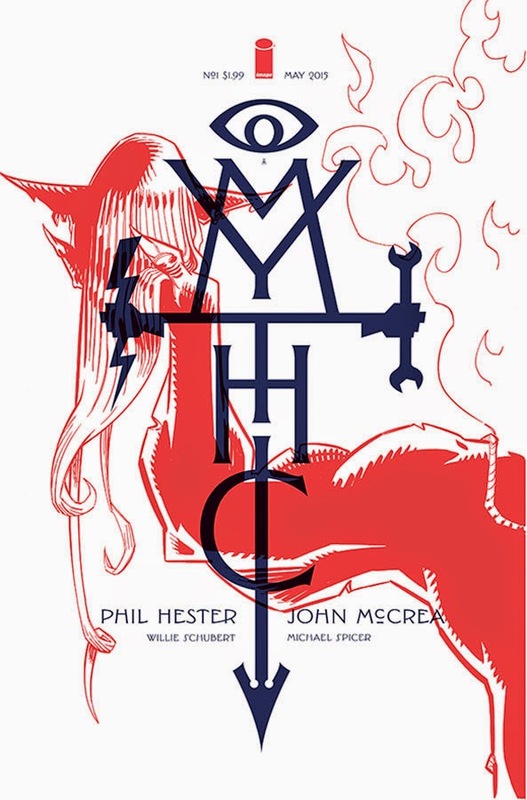 Mythic #1 - Phil Hester and John McCrea weave a fantasy about how science is a crock, and magic is real, and the people who keep the masses in the dark. 4. 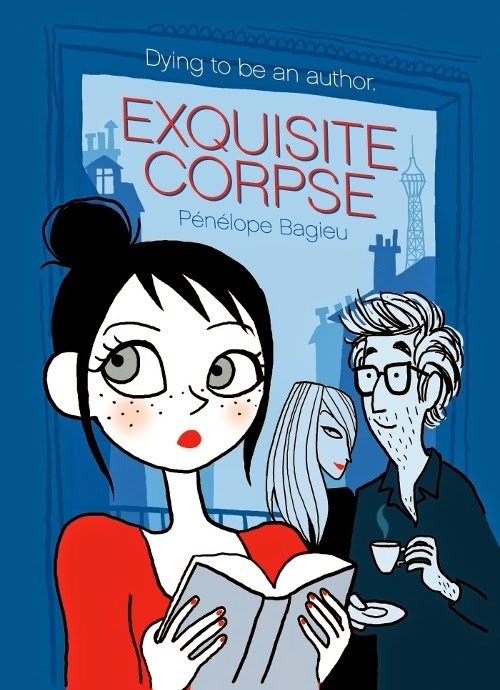 Exquisite Corpse HC - This graphic novel from French superstar Penelope Bagieu is a mystery featuring a dim protagonist, and it's sure to have some pretty amazing art. 5. 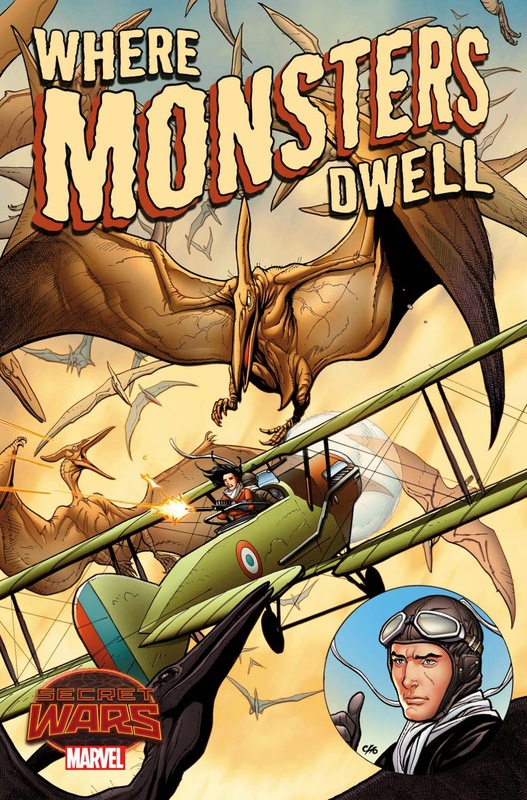 Where Monsters Dwell #1 (of 5) - Did anyone else notice that Garth Ennis is doing a fighter plane versus dinosaurs book for Marvel? 1. Marvel Firsts: The 1990s Omnibus HC - Hell yes. A nice fat helping of 90's art and badassery. 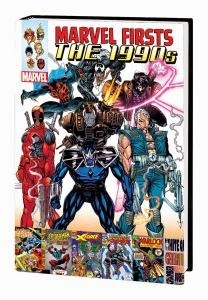 1288 pages of debut issues featuring 90's favorites like Deathlok, Ghost Rider, New Warriors, Foolkiller, Darkhawk, Sleepwalker, X-Force, Death's Head II, Nightstalkers, Cable, X-Force and Silver Sable and the Wild Pack. 2. 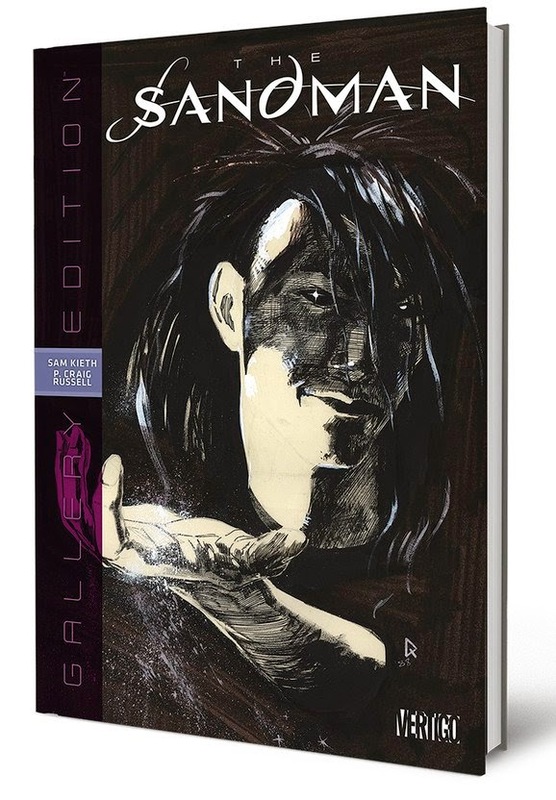 The Sandman: Gallery Edition HC - See pages from the Sandman series in their original form, featuring the entirety of the first issue, and plenty of pages from various artists on the groundbreaking series. 3. Wytches (Volume 1) TP - The genuinely scary book from Scott Snyder and Jock gets its first collected edition. Screwed up, creepy and awesome. 4. 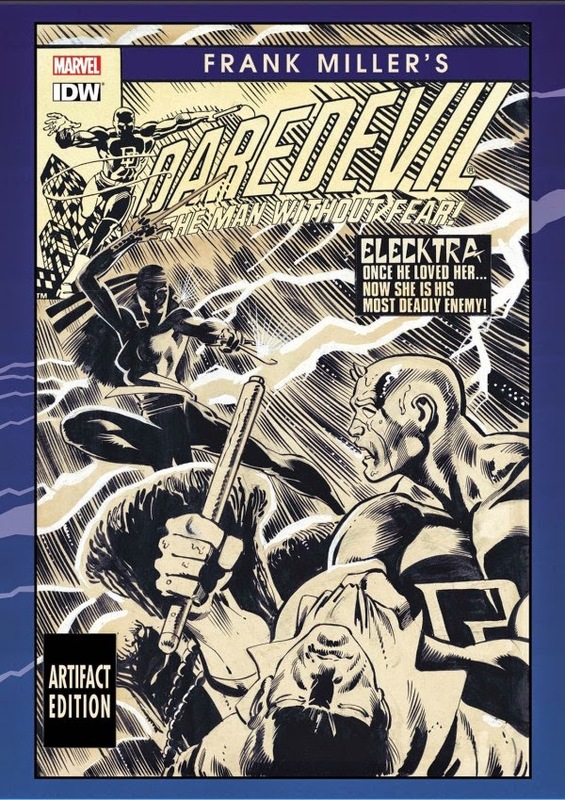 Frank Miller's Daredevil: Artifact Edition HC - Presenting the art from Daredevil in its original form, this includes over 20 covers, the intro and death of Elektra, and tons more. 1. 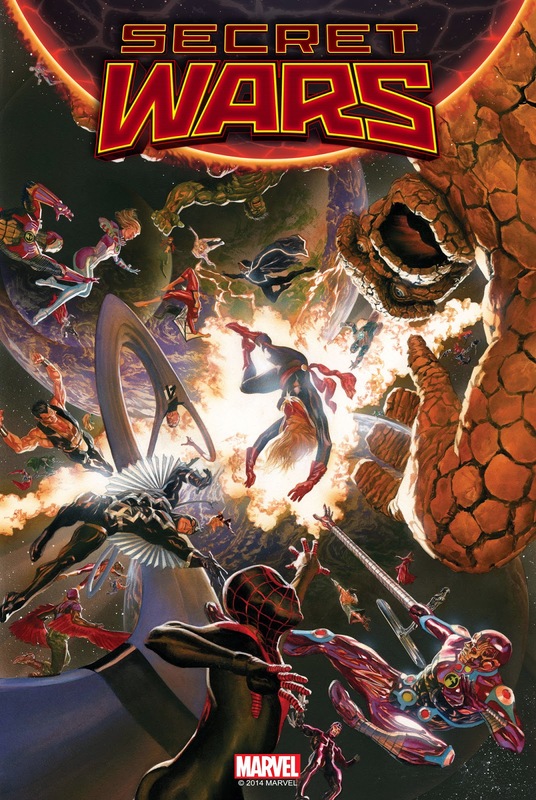 Secret Wars #1 (of 8) - The big Marvel event that will redefine the Marvel Universe begins here! 2. 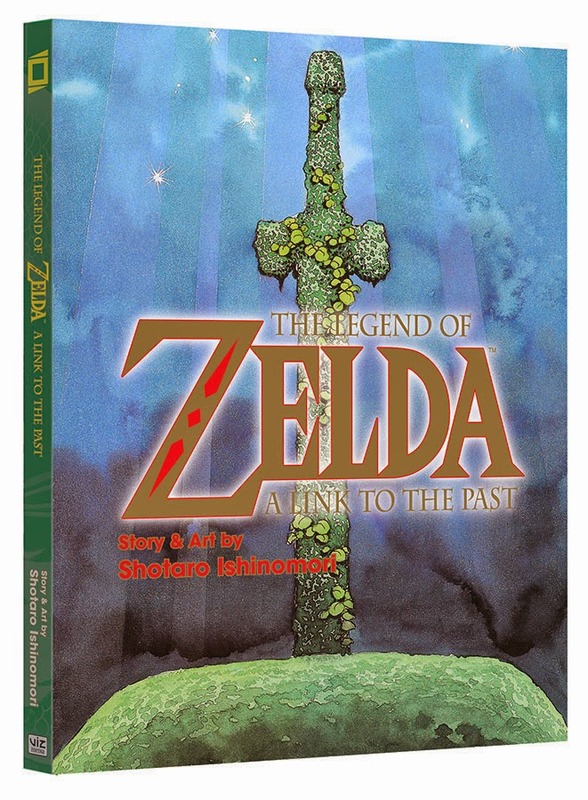 The Legend of Zelda: A Link To the Past - Shotaro Ishinomori's manga originally serialized in Nintendo Power is being collected. 3. 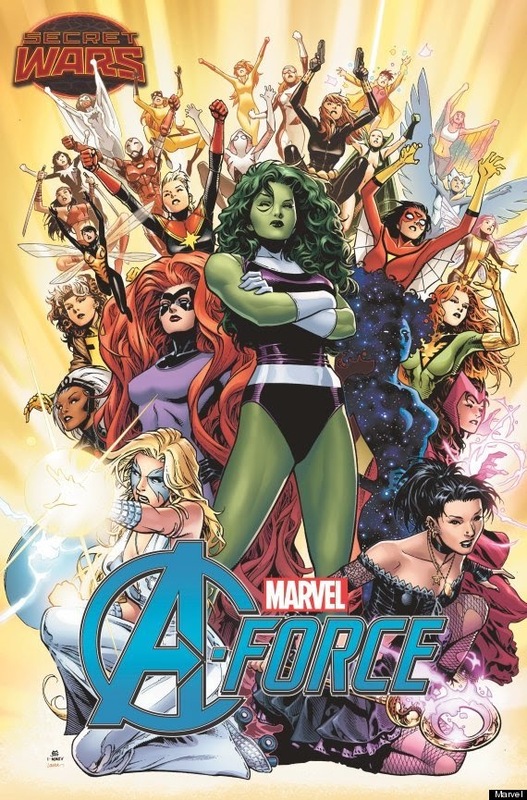 A-Force #1 - The new all-female Avengers team book launches! 1. Inferno #1 - Dennis Hopeless writes this one, featuring a fallen Magik ruling over Hell-on-Earth. 2. 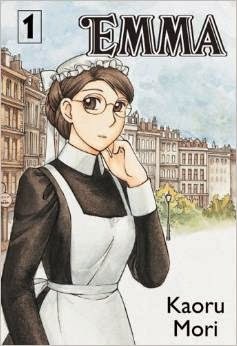 Emma (Volume 1) - Out of print ever since CMX disappeared, Kaoru Mori's beloved manga is going to be made available once more, courtesy of Yen Press. 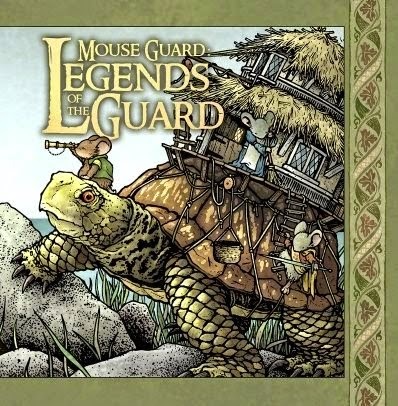 "Mouse Guard: Legend of the Guard (Volume 3) #1" by David Petersen & various - The first issue of this volume of the anthology series will feature Mark Buckingham, Skottie Young and Hannah Christenson. iZombie - Tuesday, March 17th on The CW. 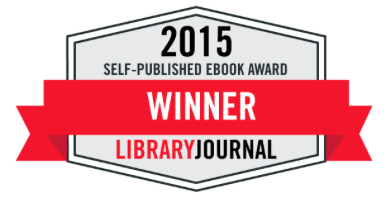 Vote for Yokai - a publishing deal is the balance! Hello everyone! 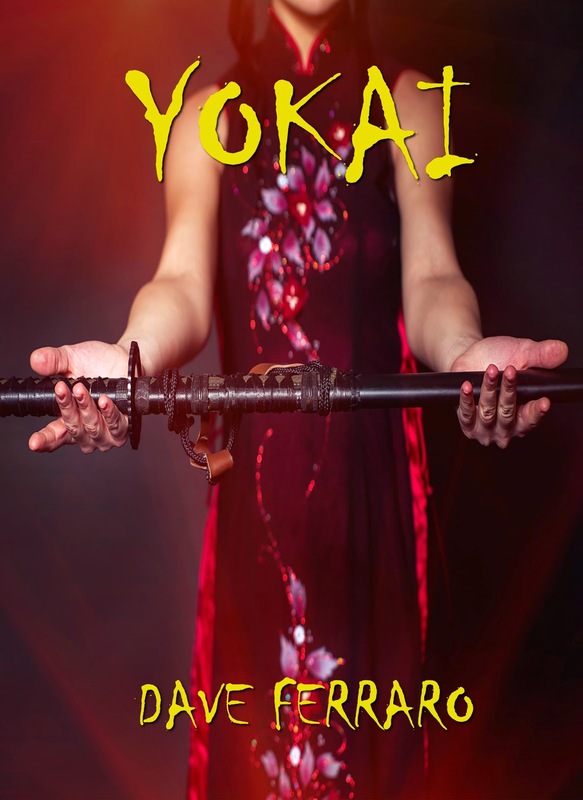 My latest book, "Yokai," is in the running for publication! Please take a moment to vote to help me realize my dreams! It's an urban fantasy steeped in Japanese folklore and I know you're all going to love it!! These are my favorite comics of 2014, including manga, superheroes, graphic novels, reprints, etc. 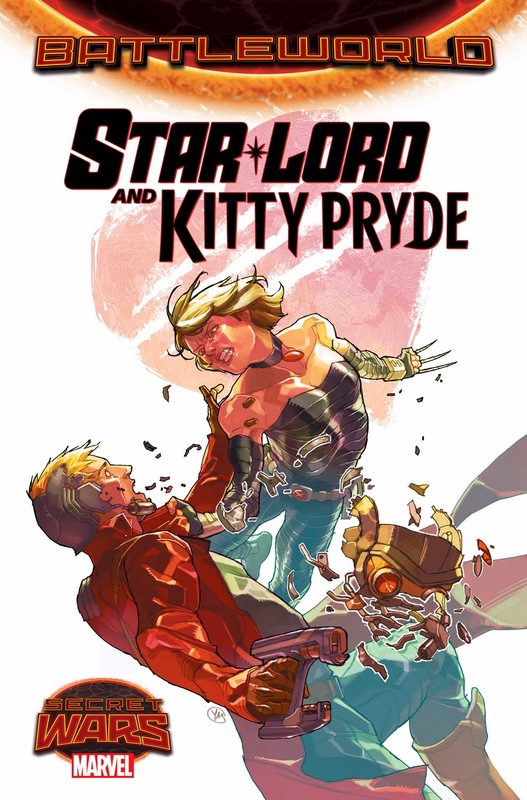 I try to be as true to how I feel about a book as possible when ranking them, which is why it may seem odd for some to see a superhero title hardly anyone read rank over an acclaimed graphic novel. If I enjoyed my experience of reading it more, it was placed higher on my list. Anyways, these are my favorite twenty comics of the year. I hope you enjoy my list, and hopefully check out some books that may have eluded you. 20. 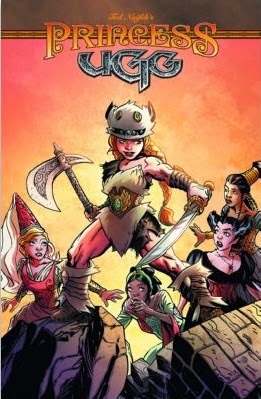 Princess Ugg (Ted Naifeh) - Princess Ugg rules as a warrior in the mountains, but when she goes to a proper princess school in the valley to fulfill her mother's last wishes, she finds it much harder to be lady of the court than she could have imagined. 19. Ms. Marvel (G. Willow Wilson & Adrian Alphona) - Kamala Khan takes on the mantle of Ms. Marvel as she is bestowed with superhuman powers by the Terrigen Bomb from the Marvel crossover Inhumanity. Not only is she Marvel's first headliner who is Muslim, but she's a great character, full of insecurity and rebelliousness, fire and good intentions. 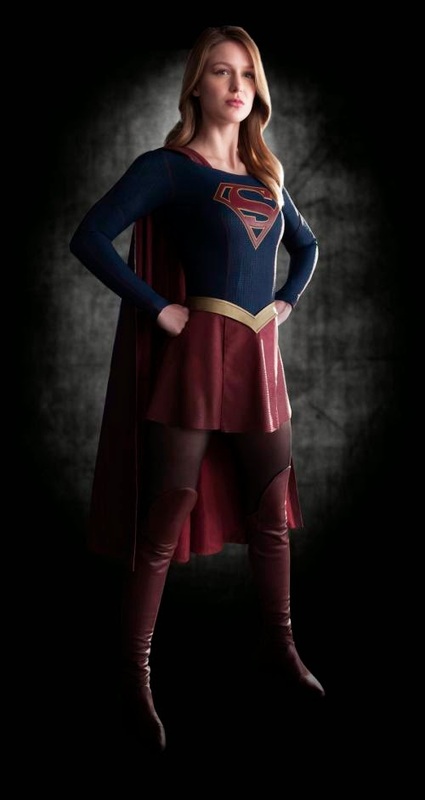 Luckily, we get to watch her on her journey as she muddles through how to become a superhero. 18. Okko: The Cycle of Fire (Hub) - This consistently entertaining fantasy series from Hub reaches its penultimate volume, as Okko the Ronin and his fellow demon hunters become entangled in a messy political situation, as a marriage that will unify two great clans goes terribly wrong. This series boasts some beautiful art, great action sequences and plenty of twists and turns. 17. 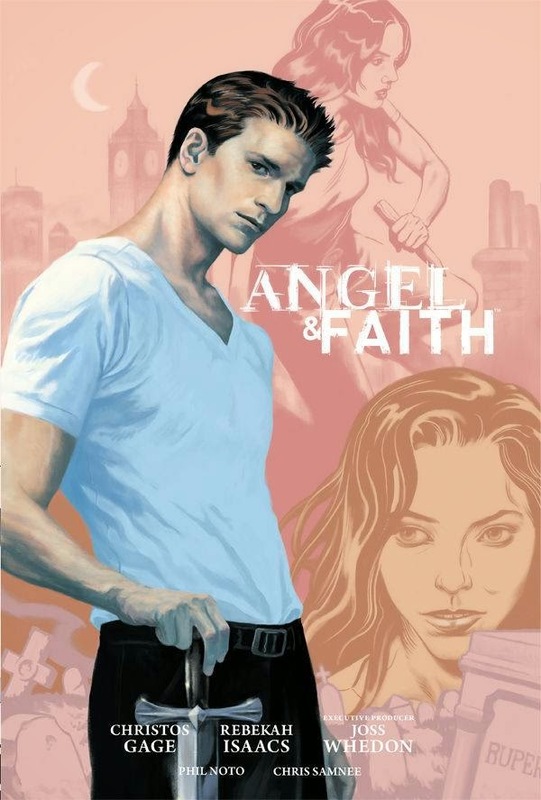 Buffy the Vampire Slayer: Season Ten (Christos Gage & Rebekah Isaacs) - The creative team behind Season Nine's excellent Angel and Faith series, took over the flagship title during Season Ten, bringing the high quality storytelling that they had become known for to Buffy Summers and her inner circle. 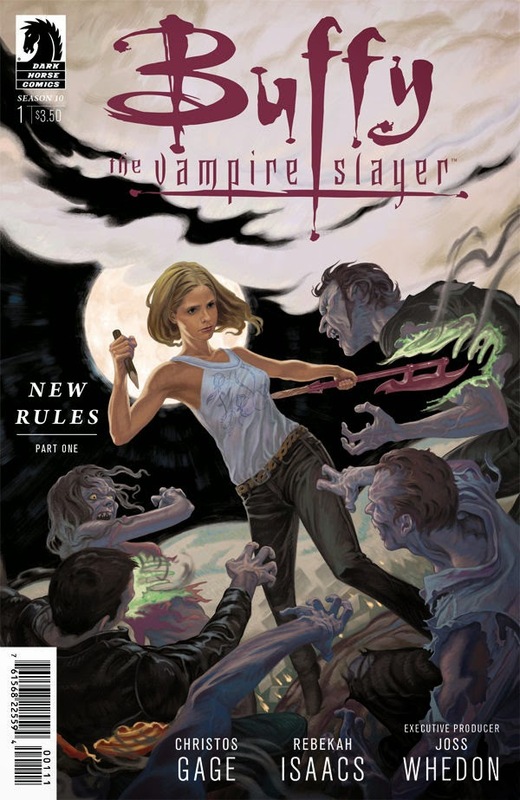 Vampires are different now, and it's up to Buffy and her friends, and a few friends and foes from their past, to set things right, meanwhile dealing with the fallout from Season Nine. 16. Captain Marvel (Kelly Sue DeConnick & David Lopez) - My favorite Marvel comic this past year featured Carol Danvers as she ventured into space with her friendly spaceship and a cat... David Lopez draws the hell out of this colorful, bright superhero romp that sees Carol venturing to new planets, making new friends, and having some good old fashioned spaceship battles. This book is just great fun. 15. The Three Thieves (Scott Chantler) - Scott Chantler's Three Thieves books are an overlooked gem. These all-ages graphic novels are colorful fantasies that see three unlikely friends escape the clutches of the royal guard while searching for the truth (and a long lost brother). 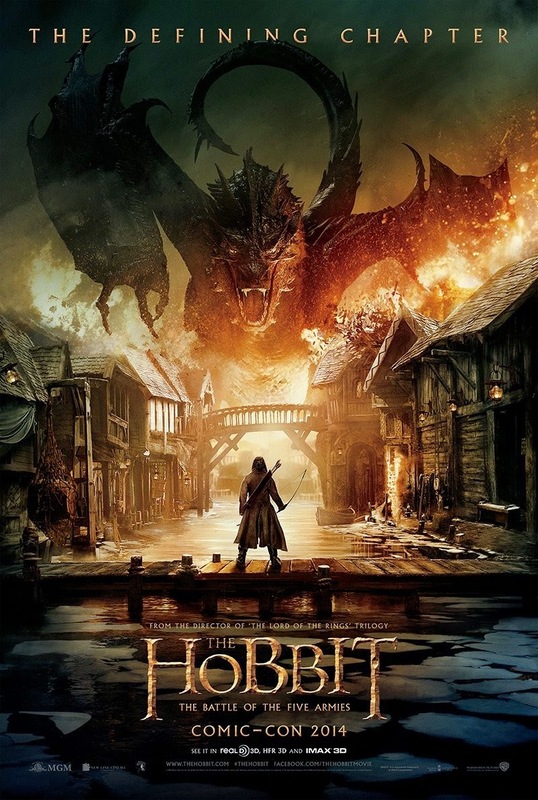 A great action-adventure. 14. 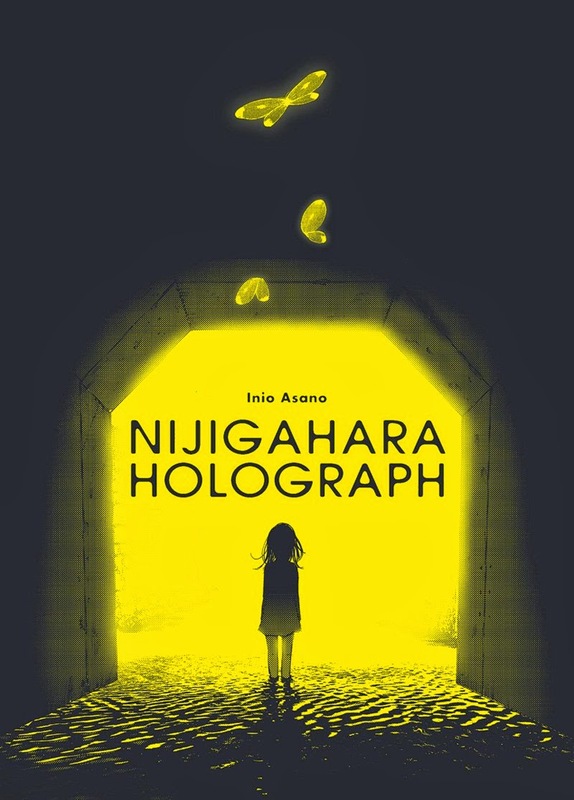 Nijigahara Holograph (Inio Asano) - There is a park behind a school in Japan, with a tunnel running through it that harbors a monster that will bring about the end of the world. And a cast of characters are tied to that park by several violent events that occur there. This dark, Lynch-ian graphic novel is disturbing and unsettling, with sudden moments of brutality, an oddness that's utterly captivating. This book is beautiful and haunting. 13. Doctors (Dash Shaw) - The doctors use an experimental method of bringing people back from the dead, even if for a short period of time. The patients have unforeseen side effects however, in this bold comic that delves into the warped minds of those involved. Dream-like and somehow very real, Doctors is a unique vision in the world of comics. 12. The Walking Dead (Robert Kirkman & Charlie Adlard) - The Walking Dead just keeps getting better. After the unfortunate events of #100, the book ramps up to perhaps its best storyline, featuring a villain worthy of The Governor, in a situation that spirals out of control quickly. Plus, a tiger. 11. 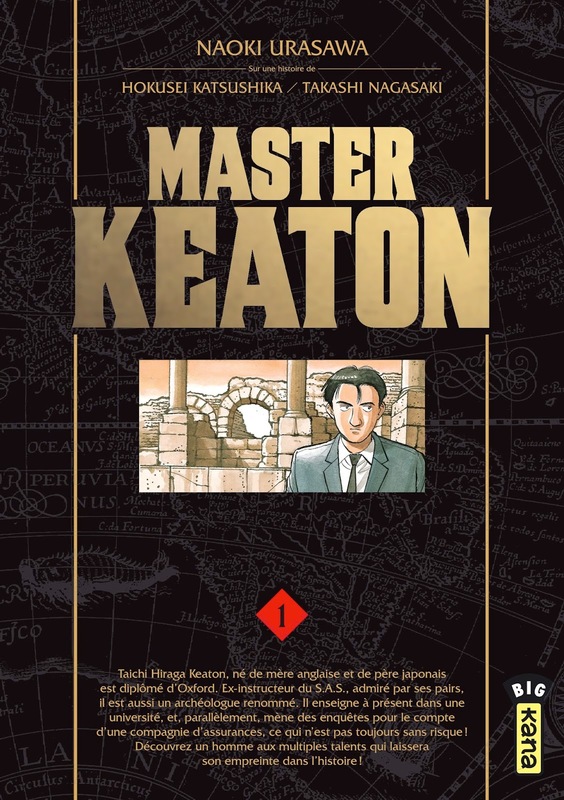 Master Keaton (Naoki Urasawa) - The master of suspense has done it again. This is actually an earlier work from Urasawa, but even before masterworks such as Monster and Pluto, he was on his A-game, telling the story of an archaeologist/lecturer/insurance investigator who is a true survivor, using anything around him to ensure that he stays alive, and can best the villains who stand against him. Urasawa demonstrates early on his mastery over pacing and mystery in this action-packed series that ended up being my favorite manga of the year. 10. 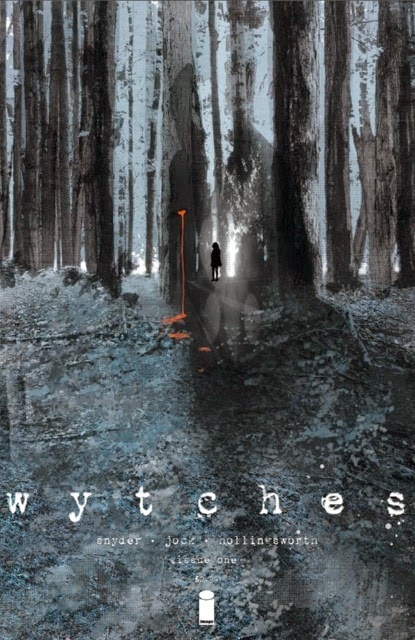 Wytches (Scott Snyder & Jock) - This genuinely frightening horror comic from Scott Snyder and Jock is paced beautifully, crafted for maximum scares, and features witches that somehow feel real, despite what they are. 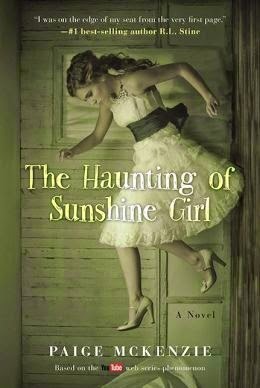 Steeped in creepy lore, and set in an unsettling small town, thick with forest, this surreal story has that creeping dread that makes horror so fun. 9. 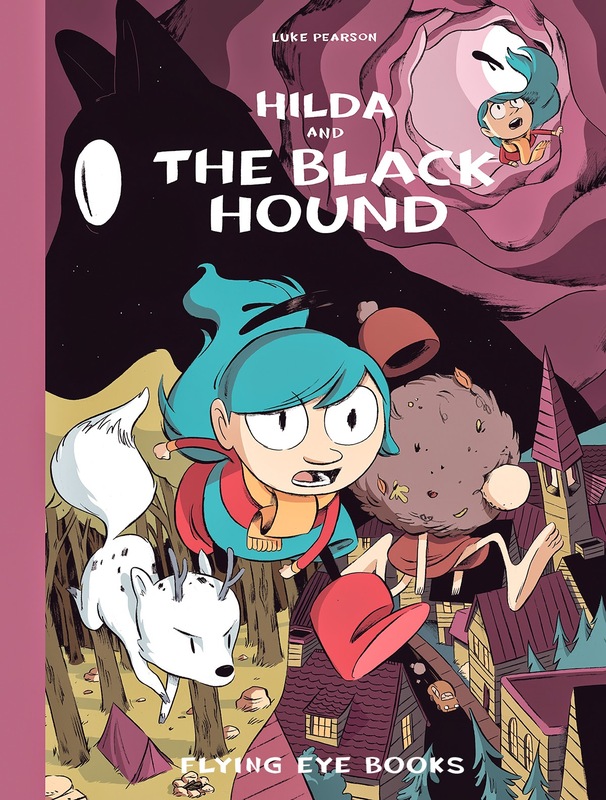 Hilda and the Black Hound (Luke Pearson) - Luke Pearson's Hilda series is some of the very best cartooning out there right now, and while Hilda may not be in the beautiful creature-filled countryside any longer, she still runs into plenty of magical creatures running amok in the big city, and finds that there is beauty in the crowded city as well. This is some stunning artwork for all ages to enjoy. 8. The Wicked + The Divine (Kieron Gillen & Jamie McKelvie) - Gods are reincarnated every ninety years for two short years in The Wicked + The Divine, which sees gods from various pantheons demonstrating their abilities for the masses of the modern world. Gillen manages to keep the story edgy and fresh, like nothing we've really seen before even though stories similar to this are prevalent, with interesting concepts and great, screwed-up characters. McKelvie's art has never looked better, providing beautiful, colorful landscapes for these gods to come to life in all of their destructive, self-absorbed glory. 7. Wonder Woman (Brian Azzarello & Cliff Chiang) - My favorite superhero comic of the year is destined to go down as one of the greats. 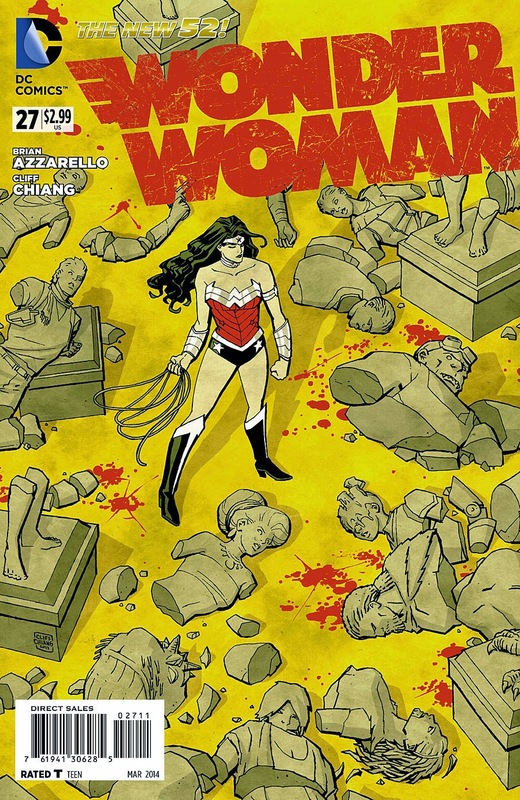 Azzarello and Chiang's Wonder Woman is an instant classic, providing a blue print for how Wonder Woman stories should be told in the most iconic stories of the heroine's long history. 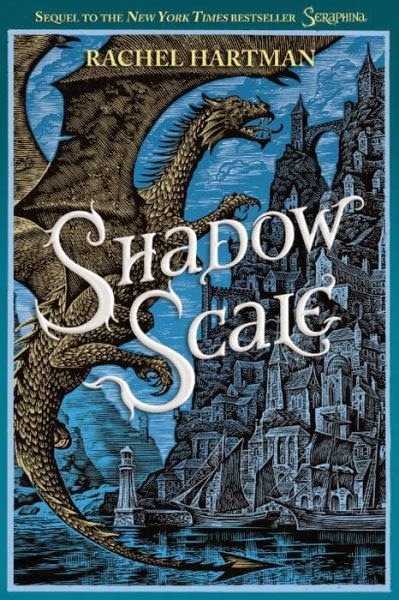 The uses of magic and gods, and the way the story is weaved, is simply masterful. This book remained of consistently high quality writing and art right up to the end of the creators' run. 6. Through the Woods (Emily Carroll) - This book of short stories features tales of spine-tingling horror, as creatures venture from out of the woods to terrorize men and women. While some stories read like folktales, such as in "Our Neighbor's House," others feel Poe-like, with a maddening guilt eating away at the protagonist, like in "His Face All Red." 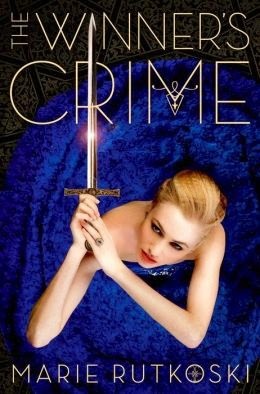 All of these stories are fantastic, suspenseful and unsettling. 5. 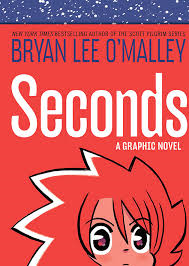 Seconds (Bryan Lee O'Malley) - This trippy fantasy about a girl lost as she grows into adulthood, begs the question: what would happen if we got a second chance? Or as many second chances as it took to make things perfect? Well, things don't go quite as planned, thankfully, because this is one fun graphic novel that unravels the fabric of reality for the whims of a well-intentioned girl going about things the wrong way. 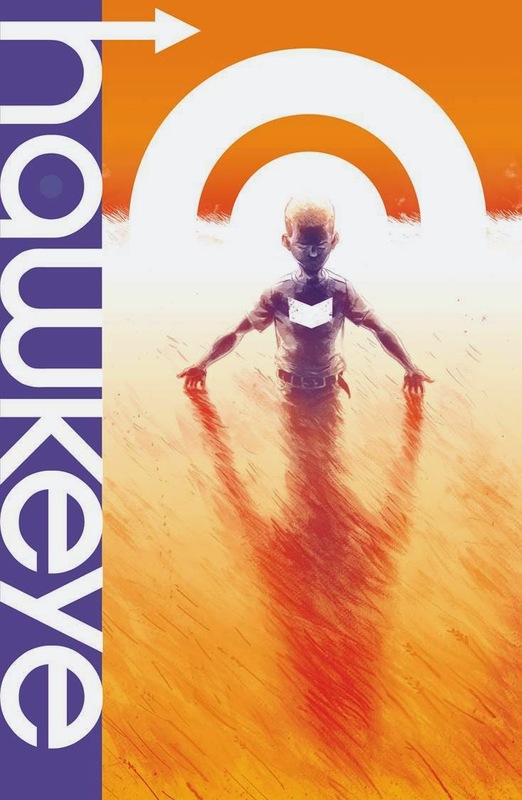 O'Malley follows up his Scott Pilgrim series with a real winner, illustrating that he still has plenty of imaginative tales left up his sleeve. 4. Bumperhead (Gilbert Hernandez) - Gilbert Hernandez is one of the most consistent artists out there, providing high quality art and storytelling time and time again. Bumperhead is his latest masterpiece, following Bobby growing up feeling alienated from not just his peers from school, but also his father, his only real family. 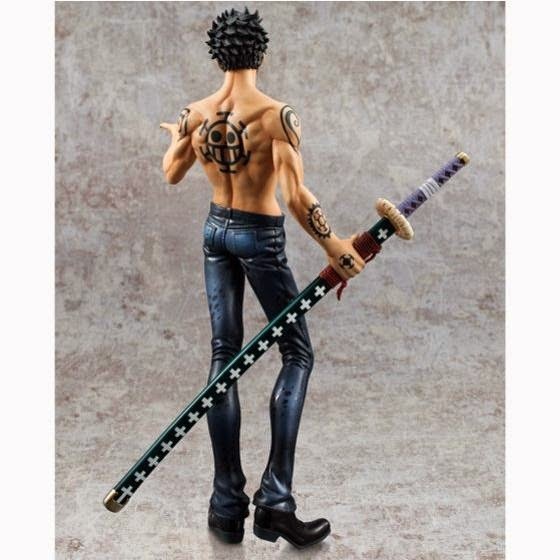 He has a lot of luck with the ladies, but through the ups and downs of his life, we get to see a very well-rounded, realistic character as he grapples with finding his place. This is an emotional experience that's beautifully rendered on the page by the artist. 3. 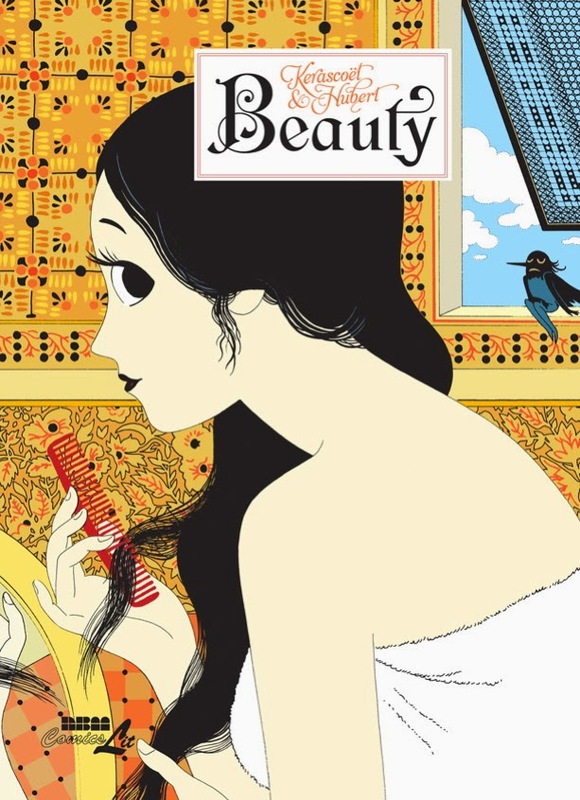 Beauty (Kerascoet & Hubert) - In this epic fairy tale, the team who created the excellent Miss Don't Touch Me books explores the many different sides of beauty. How beauty can change a person, and the people around them, drawing out lust as well as envy and greed, vanity and despair, and of course, happiness. Coddie is granted any wish she desires when she kisses a frog and releases a fairy from a magical spell. Having been shunned for her homeliness her entire life, she only wishes for one thing: beauty. And that wish will change the course of not only her life, but her village, and even her entire country. Deftly told with real vision and an ever-expanding scope, this lovely story is one that sticks with you well after you've set it down. 2. An Aurora Grimeon Story: Will o' the Wisp (Tom Hammock & Megan Hutchison) - This was a complete surprise for me. I tend to try things from Archaia because they have the high quality fantasy titles that I tend to enjoy, but this was on a level that easily surpassed my expectations. 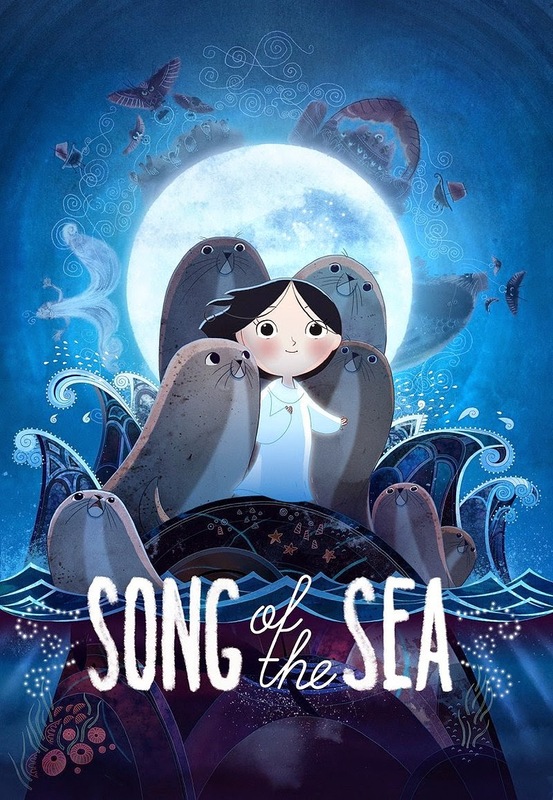 This book follows Aurora, who goes to live with her grandfather after her parents die, on an isolated island where the residents believe in hoodoo, bad luck and malevolent spirits. Something evil has come to wreak vengeance on the island, and it slowly grows stronger in this atmospheric graphic novel that oozes creeping dread and builds a fantastic setting for this addictive tale. 1. 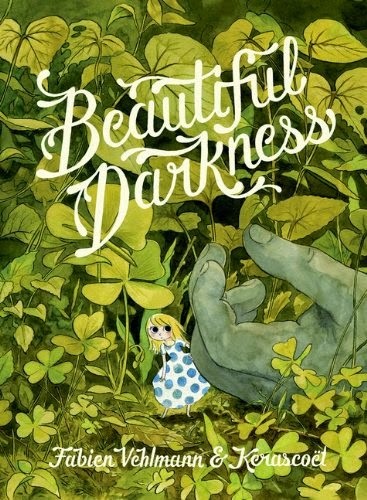 Beautiful Darkness (Fabien Vehlmann & Kerascoet) - Not only did Kerascoet illustrate the excellent graphic novel Beauty this year, but the artist team is responsible for the stunning art of my favorite graphic novel this year, Beautiful Darkness. 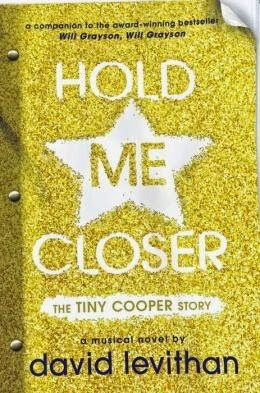 In this grotesquely beautiful fairy tale, we see the little people who live inside of us as they abandon the corpse of a little girl who dies unexpectedly, learning to survive in the world around them. The little creatures interact with nature, which is unforgiving, and form cliques that can be as ugly as the rotting corpse that they live around. The watercolors are utterly fantastic, and the fact that they are so pretty contrasts deliciously with the darkness and decay that pervades the story in a wonderfully perverse way. There are shocking moments and plenty of disturbing images scattered throughout this book, which easily tops my list for best of the year. 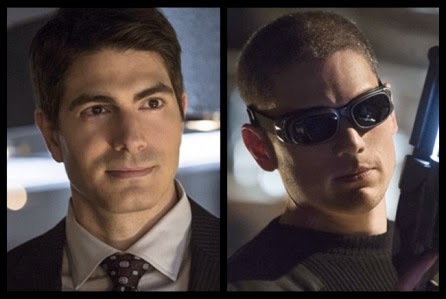 The second book in "The Winner's Trilogy"
A Flash/Arrow spin-off television series featuring actors who have played The Atom (Brandom Routh), Canary (Caity Lotz), Wentworth Miller (Captain Cold) and Victor Garber (half of Firestorm). Lady Gaga joins next season's American Horror Story: Hotel. 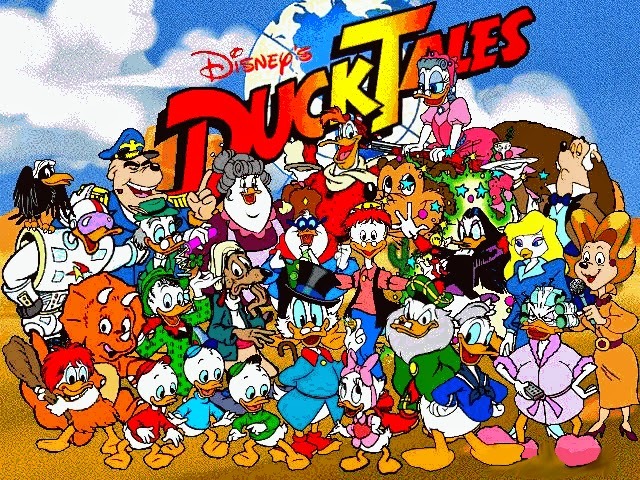 New "Ducktales" episodes coming in 2017. One of Comics-and-More's most popular features is back! 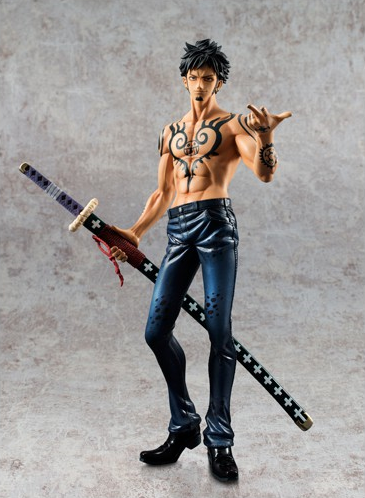 On the first Monday of every month, look for a new manga to be reviewed on Manga Monday! Hako Natsuno is a magnet for accidents. Literally, bad things are always happening to her - things are falling on her, she's tripping on anything and everything, etc. Her classmates call her the "Queen of Bad Luck," and mostly avoid her, although she has managed to surround herself with a couple of good friends. Her luck changes one day (well, maybe) when a hot alien guy drops out of the sky and declares that he has come to Earth to mate with Hako. Hako may have bad luck, but she's not the only one. 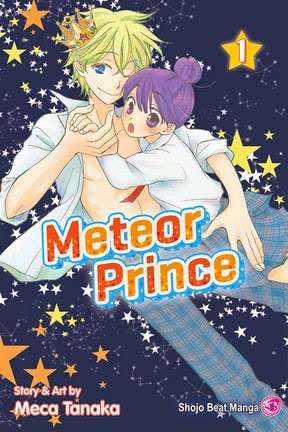 Any reader with the misfortune of picking up this title has run smack-dab into some as well, because Meteor Prince is about as middle-of-the-road as you can get. Aside from her bad luck and some generic qualities, there is no character to Hako, leaving only a couple of goofy sidekicks and an alien to prop this book up. Luckily Io, from the planet Yupita, has potential. He's very child-like in his fascination with Earth and his complete obliviousness to customs, and is easily the funniest part of this romantic comedy. His constant loud declarations to mate with Hako, and unintentionally comedic actions, cement him as the star of this book, and perhaps the only bright spot to this series. The art is decent, but is hindered considerably by the lack of storytelling prowess of Meca Tanaka. For example, the opening scene is probably constructed worse than anything I've read in comics, period. We are introduced to Io immediately, in the middle of school, where he has landed, naked and ready to declare his intention to mate with Hako. Then, Tanaka insists on backtracking to Hako just before the incident, which gives absolutely no additional information except that we get to see her walk toward the lab where Io appears, only to have Io reintroduced again. The impact of that opening scene suffers significantly. It's redundant and left me baffled as to Tanaka's decision to play it out in such a bizarre way. 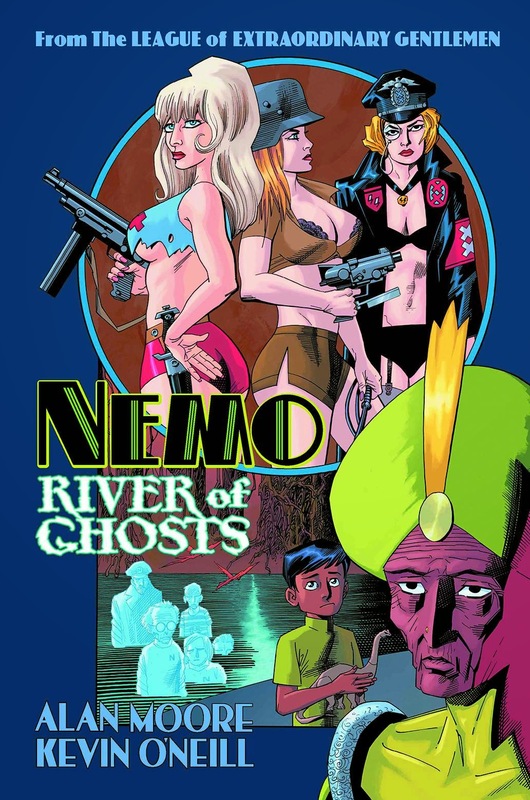 Thankfully, this series is only a short two volumes in length, and will just as quickly be forgotten by anyone with the misfortune of picking it up.